Building new infrastructure from scratch can be risky - particularly if people don't move in - but India is hoping it pays off. 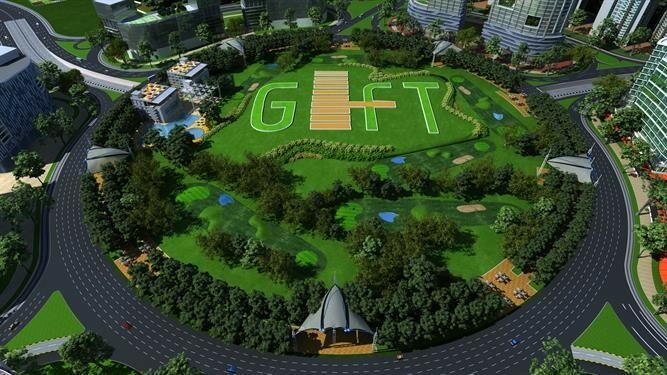 Gujarat International Finance-Tec City - or 'GIFT' for short - is a present for the Indian financial services sector. The brand new city is designed to help India compete with international and regional finance hubs, such as Hong Kong and Singapore. The team behind the project hope it will appeal to global firms by providing high-class infrastructure and facilities, with a stream of top Indian talent to fill jobs. The opportunity is significant: India’s financial sector is growing rapidly, and could generate 11 million jobs and contribute up to $400 billion to GDP by 2020, according to the group behind the project. The plan is to build a Central Business District (CBD) between Ahmedabad and Gandhinagar in the west of the country, with state-of-the-art connectivity, infrastructure and transport links. 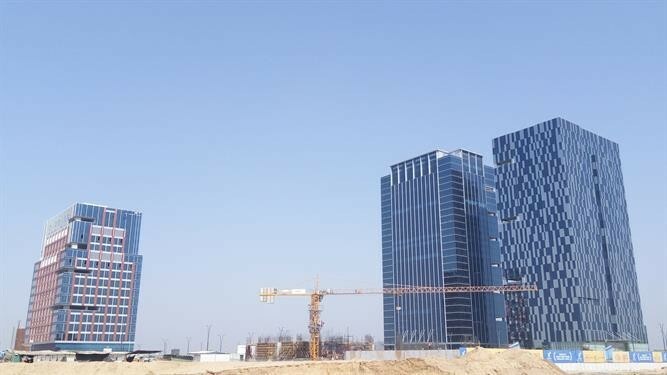 By attracting international investment, the city’s developers estimate they could provide a million direct and indirect jobs, in areas including capital markets, trading and IT services. The city also hopes to take advantage of rapid economic growth, with the IMF forecasting growth of more than 7% for the current fiscal year which ends in March 2019. And the appeal of a financial services hub is clear. Take the City of London, for example, which was responsible for 50% of the UK sector’s output in 2017 and provided 1.1 million jobs. Building new infrastructure from scratch can be risky though - especially if no one moves in. Consider Spain’s Ciudad Real airport, which opened in 2008 - only to close just four years later. It has remained closed ever since, with the site reportedly sold earlier this year for just a fraction of its build cost. There are also the infamous ghost cities in China - entire developments that have stood empty since completion. Research published this year suggests that as many as 50 million homes in China stand empty. 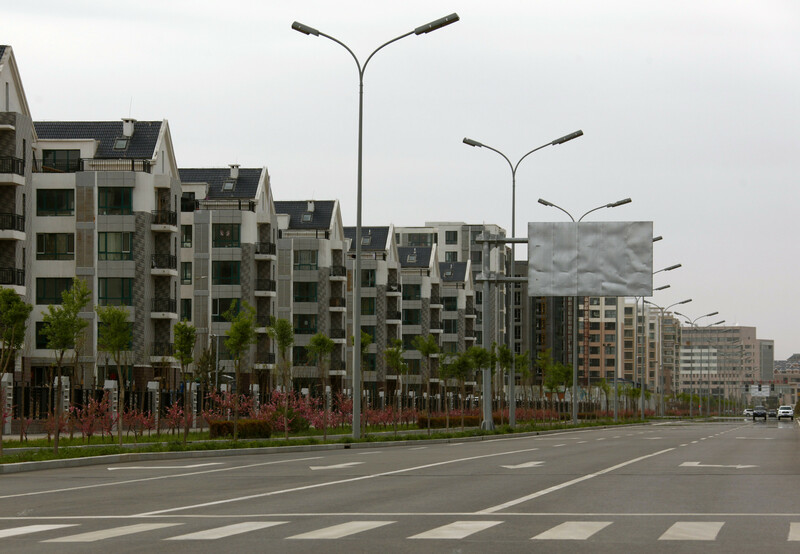 Residential homes line a deserted street in the Chinese town of Ordos. However, ensuring urban areas are prepared - particularly as the Fourth Industrial Revolution changes the way we live our lives - is vital. By 2050, two-thirds of us will live in urban areas. The World Economic Forum’s Agile Cities: Preparing for the Fourth Industrial Revolution report calls on cities to be agile in order to meet challenges but also to take advantage of new opportunities. And if cities are to thrive, they will need to innovate with more advanced buildings and smart infrastructures. Building a city such as GIFT from scratch certainly provides opportunities for that type of innovation.